Visit any office, and you will likely come across files stacked in filing cabinets, shelves, drawers, cupboards, and everywhere there is available space. This is quite interesting, because you can even see it at a time when virtually all data is already passed on digitally. But it doesn’t have to be this way, especially if you would like your company to move forward and be more organised with its important data. 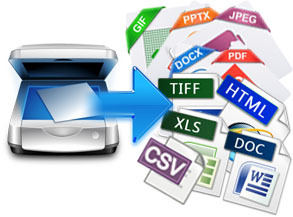 You can opt to convert all your physical files into electronic images, which brings with it a plethora of advantages. The number-one advantage, of course, is easy document retrieval. You will no longer have to sort through stacks of files in order to find the one that you need. Much time and effort will be saved, and you can be sure that your precious files will no longer be in danger of being lost. As mentioned above, you can save a vast amount of time and effort if your files are digitised. Some studies have actually shown that the average office worker will spend as much as two hours each day just retrieving files. Imagine the time and effort you will save if you can find files instantly – you can dedicate your energy into doing other tasks. If you take advantage of document scanning, your files can be saved in an orderly fashion and will be categorised according to your requirements. There is one thing that is always annoying in any office: having a clear idea of where you have saved a file, but not being able to find it where you thought you had stored it. Again, this results in hours wasted looking for a particular file which should have been there in the first place. But if you have digitally scanned and stored your documents, you know exactly where it is at any given time. No one will be able to remove it from that folder, and you can even monitor who has access to it and what they can do with it. The amount of energy that goes into managing files and documents is enormous. You have to make sure that all files are categorised in the proper manner, and you also have to make sure that files which are no longer needed are properly disposed of so they don’t result in clutter. 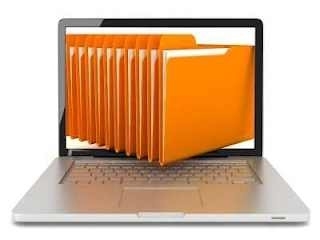 If you have digitally scanned documents, you can retrieve them with the click of a button and make copies without having to move from your desk. Whilst all offices have space allocated for files and documents, this space can easily get filled. Before you know it, you do not have enough storage space anymore, and you have to make room by sorting through your files and destroying those which are no longer needed. On the other hand, if all your files are saved digitally, you can save as many as you like. The capacity of a single computer server can reach up to thousands of documents. Once your documents are digitally scanned, you can either throw them away or store them at an off-site facility. There are many other reasons why it makes sense to convert your files into digital format. And with the help of document scanning and storage experts like www.shredall.co.uk/, your document retrieval, storage, and access issues will be a thing of the past. Next story So You Fancy Yourself As A Singer Do You?